Wow, can’t believe there are a lot of netizens who keeps defending Tony and AA just by personal opinions without strong points backing it. I think the writer of this article has gone to extra miles to make the articles as easy to point out, given the simple facts we read in the everyday newspaper. The point of the article backed by facts is enough to educate some logics behind this case, regardless who is at fault. I’m a Malaysian, and yes I get to travel cheaper with AirAsia. I am blessed we have a low-cost airline which does us proud in ASEAN. However these days, cheaper is always not the case, as sometimes flights to Jakarta and Kota Kinabalu on AirAsia costs even more than MAS if compared on the same day. So we all have a choice to make, of whichever fits our priority, timing, convenience and taste. Of course we can’t compare both airlines, as MAS and AirAsia has its strength and niches, and everyone knows this. If we do, it would be an endless debate of what’s better and what’s worst. As far as I know, both Airlines are from Malaysia, and both Airlines do me proud as a Malaysian. I do also want to share my first few years of travelling with AirAsia, I don’t think I should explain for MAS, as this has always been standard since i can remember. The way hundreds of thousands of people get tricked into subscribing for a insurance plan that is carefully embedded into the on-line ticket purchase when in reality they do not want to pay extra. Young people like Generation X and Y get to notice this, but the rest of the majority gets tricked into this each day. I’m just amazed at why this is never carefully highlighted? I believe Malaysians should be given the choice not to have insurance, but could opt for insurance if they want so. Having wrongly clicked or selected on the system (believe me this happens sometimes even to the most IT literate), and calling Airsia hotline, to wait for 15 minutes before a live operator attends to you, only to find out that ‘I’m sorry sir, I can’t help you with that, if I do, you’re going to have to pay for at least Rm100 extra as its already recorded into the system’. How many times do you have to run to the air-plane on a rainy day, after the stewardess mentions, sorry no more umbrella’s? For some reason, half of my flights arrival in LCCT requires me to walk for at least 15 minutes from the furthest bay, on an either HOT day or a COLD windy night? The above are just some of my experience with AirAsia. I don’t mind all of the above, as sometimes I find AirAsia’s schedules filled with more choices in terms of timing compared to other airlines on the destination i go to. 1) Well I get a bigger Airport, more retail shops to go about. 3) Air-conditioned hallways right after you step out of the aircraft,the exact opposite to what you have now. 4) More security to monitor and block all this unwanted immigrants, drug traffickers, mules, African con artist and un-welcomed visitors. 5) More easier parking space, so instead of just dropping my loved ones, I can actually have time to park and rush them off to the check-in counter. 6) More check-in counters, so don’t have to wait in the longest queue. 7) Easier connectivity time, i can drop people at KL Sentral instead of reassuring them that the bus is going to arrive on time. 8) Totally DISABLED UNFRIENDLY! Have you ever tried to help the disabled to board an AirAsia flight in LCCT? I have, and believe me, I kept asking to myself, why the hell can’t they just get the aero-bridge. They keep complaining about the costs, but you could charge insurance just like that, can’t you just make this compulsary? As an average Malaysian, I get to enjoy more, even if I have to pay a bit extra (of which has not be decided in tax). This is not about blaming MAHB, Government or AirAsia. This is about ‘Are the interest of the average and majority Malaysians taken into considerations’ for the KLIA2? I don’t care who the architects are, or who calls the shots, or who decided whether to have a short or long runway. What I as an average MALAYSIAN care, is will the airport be completed? Will I get to use it? Will I enjoy its facilities? Will I get to feel proud about the airport to my other ASEAN counterparts? yeah..i totally agree with that..
Security is more cheaper then nasi lemak on airasia….who stupid? Malaysian boleh…. That why they not really great in other country except malaysia…. Tuan Rodi, you hit the nail ! Keyword ‘low-cost’! How would it benefit the passengers when the airport tax is higher than the flight ticket? AirAsia pays higher taxes elsewhere than at home in Malaysia yet makes far more noise at home. Take at look at AirAsia Facebook, almost every thread is full of demands for refunds not done. Remember the next time you fly with akrasia…you are a hypocrite. Back then during MAS/AA share swap, someone told me AA wanted to swap not because they are willing to share expertise and help MAS in the long run but AA just want to get free maintenance, repair, overhaul services from MAS. They have the option to not go and have their aircrafts being fixed by MAS but that means they will have to take extra miles and factor in exchange rates and whatnot if they choose to have their aircrafts fixed somewhere else. Seems like Tony and AA are proud of being cheapskates and greedy at the same time. Tony fail from the beginning he try very hard to takeover cash rich’s MAHB. It is very strategically important to have total control in airline industry in Malaysia….mentang2 dia fasih ckp english; he fart at his wish…. Good write-up. Inilah yang dinamakan jaguh kampong. Di Malaysia bolehlah dapat layanan istimewa….kalau diluar negara nak tunjuk lagak juga orang asing pun benci. Now only you all know who ‘ TONY ‘ is and all about. Keep it up … Mat Rodi!!! The point was to build a low cost terminal. Not some fancy KLIA2. I travel at least 4 times a month with Airasia and other low cost carriers over the last 5 years. It doesn’t matter how nice the building looks or whether there’s aerobridge or not. I just want to get to my destination and be safe. I’ve been to several low cost terminals or terminals used for low cost carriers in several countries…the facilities are basic (even in UK). If you want a fancy place, why bother taking a low cost carrier. Also…what is the point of building a terminal that would last 50 years based on Airasia’s growth rate? Does anyone builds a school that facilitates 5,000 students when there’s only 1,000 students at the moment? It’s complete waste of money. Just imagine all the electricity wastage to turn on the hvac, lightings and extra security. More over…what if the aviation industry fails when bullet trains takes over after 20 years? What’s the additional space in KLIA2 for? Tony and Malaysia needs each other equally. Without Airasia, our tourism industry would have vanished years ago. I’ve spoken to many foreigners in my travels…the thought of visiting Malaysia came from the fact that Airasia’s hub is here in Malaysia and since they are transiting, my as well visit. Without Airasia, MAS would still be charging rocket high prices thanks to the so called partner companies (charging MAS 1 nasi lemak for rm150). So very few people would have the privilege to fly. I totally agree with zak1881. Everybody can travel.. that’s all. So you’re saying that mahb should build an airport based on current need only? Or short term need? Or medium term? Wow, ‘good’ strategic thinking you got there. By the way, did the aviation industry die in japan and korea because of bullet train? Please, connectivity is better when you have options. Plus, you can’t possibly travel long haul with bullet train. By long haul i don’t mean domestic destinations or our neighbouring regions. I’m talking about china, india, usa etc. Please stop talking about wanting to get to your destination and be ‘safe’. If you really want to be safe, you will not have travelled with AA, at least not domestically. See IATA list of members and see if you can find AA on the list. No wonder malaysia has been slow in many things. so…build a low cost terminal at the expense of safety & efficiency? KLIA2 is designed to cater for the growth but also have the responsibility to keep human/drug trafficking in check. once the tourist numbers kick in, then the cost can be spread, no? u want a low cost terminal now but it will shortly max out & decline in efficiency & safety surely – not a wise move. ever heard of the expression penny wise, pound foolish? p/s: airport tax is NOT set yet, so where’s the beef? You are damn right bro. MAHB change rm26 for current cheap build lcct …and increase to rm 33 for super airport klia 2…how come like that? Zak, the current LCCT is way too crowded and packed, it is time to shift to a bigger airport. Government has to be long sighted and see things further, building airport is not like widening roads, u cannot change the building structure and runway once u decided. Link yang ini menunjukkan masaalah kewangan AirAsiaX … Dan Kalau kita tengok di KLSE (Bursa Saham KL) AirAsiaX Sudah pun mula “downtrend” crash. ‘KLIA’s sophisticated conveyor belt’ are you referring to the baggage handling system?..no i was on of the 2 architect firm designed the airport.we lost because we do comply to the requirement set by Air Asia not MAB. It turns out this airport is too expensive to run with air bridges that cost 1 million per unit.Furthermore what MAB did was so severely stupid to have an airport built next to an already well establish KLIA. Look, who is really stupid here. 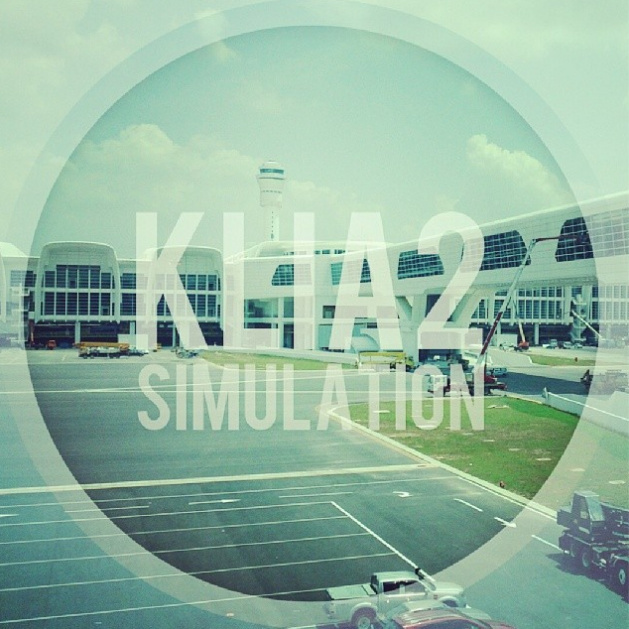 KLIA2 is not a separate airport. It’s a second terminal, integral part of KLIA, controlled from the same air traffic control (ATC). Of course you lost the bid since the real criteria are that of MAHB, not AirAsia’s. Do bear in mind that the whole project belongs to MAHB not AirAsia. satu angle je saya rasa missing. kita tak tau apa yang dibincangkan dalam bilik meeting. mana tau MAHB nak defend diri sendiri kata semua ok. atau AirAsia cakap lain bende lain pulak keluar. pokok pangkalnya. sapa yang bebetul iktiraf landasan ni selamat? IKRAM bukan pakar runway bukan? Ada ke pihak DCA cakap ok juga? ni keselamat penumpang dan semua kakitangan airport. aku nak naik AA bulan 6 nanti ni! tak nak la airport tak selamat. takut weh. Even the world’s highest international governing body in civil aviation, the ICAO has approved KLIA-2 Terminal (the new runway included). Is AirAsia trying to put itself above the ICAO?! Thanks for the clarifying lists!! This explains a lot. Thanks also for the research. I think we see here “a kind of powergame”. Never mind Air Asia is operating from Subang Airport. They will miss opportunities especially for those international passengers landing KLIA1 who want to change to a “local” plane and even to foreign popular Air Asia’s destinations. Let us see how this will go on. AirAsia claims to be champion for Malaysians but they are the only airline that charges RM1.95 per minute for basic telephone customer service. In other countries they fly to, they charge normal rate and even provide toll free number. It is cheaper to call their Singapore or Indonesia call centre than Malaysia. Hehe..tukar nama la to mr.tony arrogant..so many excuses n complaint..
wow..there’s a strong sentiment of anti-Tony & AA here…Haha, nvr mine, amateur writer couldnt uphold his impartiality, that’s normal. The tune is set up in a way that defend the establishment & all the later bashing r all directed into achieving the earlier. It is not hard to pickup some major flaws on your homework in collecting facts and figures surrounding the saga. As an architect who has been in the industry for over 15 years now, i can tell u that the building industry is not as simple as what u think. It seems that your writing is focusing on 2 parties consists of the common ‘non-bumi’ enemy – AA and the ruling-protectionist-government-backed MAHB. The involvement of both parties from the initial design stage until getting the CCC is not as direct as a childish fight betw Ali & Abu over a piece of cake. Someone else might also has a say in deciding the change of brief, in this case you must check who is controlling the building department behind MAHB who dictate the final features of the.building. From my experience, this post is the favorite department to sit in for a politician with a personal vision. In the case of KLIA2, it has been a open secret within the archi field of who is in it and why the drastic 180 turnaround happens on the building. Adding 72% floor area in the middle of construction bcos u suddenly find out your growth projection got some glitch? U must be kidding bro. I bet an corporate as good as AA know how to do professional growth projection estimate before the start of any job. MAHB could not grant a small spa but ‘bowed’ to the ‘demand’ by AA to have a 4km runway and 2.5km gap betw runways? Now u think a budget airliner has the power to decide how long a runway should be and the technical guidelines of airport design set by international bodies? Pls do your homework first. Can check airport design and procurement process and how many technical bodies involved when you want to fancy a 2.2km to 2.5km change in runway intervals. First of all dont make such a intentional and rush proposition that MAHB now acting like a slave to all AA’s demand. For example, the aerobridge issue, if AA didnt need it at first the place, then who the hell proposed it to MAHB. If proposal was done by submitting architect to the clients & AA didnt want it, who the hell in MAHB who decide to go ahead with it and results in such a fuss right now? This bring back to the area where u need to further check. The building and archi department under MAHB, who is behind this. U will find answer to a lot of your research flaws. Next you label cracks on the runway r superficial crack. R u the civil and structural or geotech engineer? Or you has the figure from the consultants regarding soil strength and its cause on the crack. This superficial assumption i think is dangerous. Next you talk about AA owing so much to MAHB in helping it to become what it is now. If MAHB is that good in spurring local aviation industry, why cant it do the same magic to MAS? If quality of corporate governance and competency r how u deemed as secondary to government aid in the aviation business. And last, as a citizen that need AA to continue to play its role as an low-cost alternative in flying, I fully support AA aggressive style of pushing the authority and its airport operator to perform, and to ensure the aim to built a low-cost airport for low-cost airliners to be achieve. Sincerely i dont want to buy a pricey AA ticket caused by the inefficient governance of public works by the government. The role of government is to govern. The lame protectionist policy got to go if you believe in the new economy, competency and competition. U need to be critical on both sides of the divide when making public argument. Otherwise, the emotional baseless part of it will be too obvious not to be picked up. I think malaysia needs tony more than he needs malaysia. When airasia wanted to transfer their operations to Indonesia what chaos it created. Don’t be a fool, he can operate where he wants but Mahb cannot operate elesewhere. In other words he has a choice, malaysia zilch. If Mahb and Mas is so wise why do we need to wait for a Tony and Airasia. There are very few points I may agree with MatRodi, and some i’m not sure since I don’t really know the conversation between AirAsia and MAHB on the KLIA2 expansion and cost. Point 1 – MAHB charged AirAsia sky high rental and parking/landing fee and aerobridge fee at KLIA, thus as a low cost airline they can’t continue to survive. Give you an example, will you spend expensive rental fee like staying in Bungalow with low salary income, I bet you won’t. But again, LCCT monthly fee wasn’t cheap also. If you compare itemize billing between these 2 airports, you will find it end up stay in KLIA better. Point 2 – Because of that, MAHB build LCCT and asked AirAsia to move and operate there, but can you imagine the building looks like warehouse/factory? How can MAHB build such a lousy LCCT airport and without any good/reasonable facilities? And there is no path way for passenger to walk from waiting rooms to air plane until AirAsia requests hundred of times then only MAHB do it. Point 3 – Why AirAsia want to work with Sime Darby for another airport, because MAHB was too arrogant, and don’t really bother expansion requests of the growth in LCCT airport. Besides that, they promised to have KLIAexpress and Buses, but it didn’t happen until today, so AirAsia have to find their own Bus operator to run it between KL Sentral to LCCT. Point 4 – Do you know how much MAHB earn profit from LCCT? Every single shop / booth need to pay sky high rental fee + transaction fee but provide lousy facilities and AirAsia need to keep on requests then only MAHB do it. Have you also calculate the car parking that MAHB earn daily? You will be surprise those open parkings can make such a wonderful income for so many years, but yet you will heard some cases such as car got stolen especially in Zone A and Zone C.
Point 5 – Do you know how much to pay for SITA system? Only those airline who don’t really study their system and willing to pay SITA. However, AirAsia know every well on how the airline system work, thus they save that cost and place their own machines with Navitaire system for check-in, which also bring down the low cost ticket back to passenger. Point 6 – AirAsia doesn’t want Aerobridge because end-up AirAsia have to pay for that rental fees, and certain fee will require passenger to pay in tax. 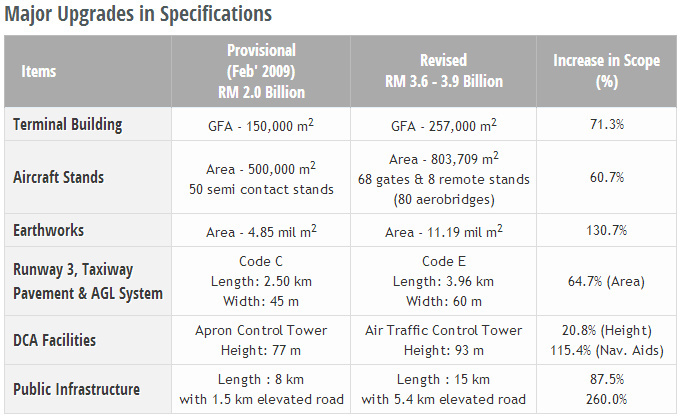 Point 7 – as far as I understand, KLIA2 land wasn’t suitable for runway because the land was soft. Thus MAHB need to spent lots of money to ensure the runway can handle the aircraft landing and pressure. As I saw the runway crack from newspaper, I wasn’t surprise but at the same time, it also show that the contractor didn’t really put much effort on quality material to prevent it happen. Who do you think is his ‘backer’ for him to get his way all this while? Thats the real brain behind air asia. Tony is just a spokesperson. Tony who? Sorry Rodi, I’m just a frequent flyer that don’t require aero bridge and other things MAHB is offering that will increase the cost of flying. AirAsia has kept flying affordable… so before you go all “reject AirAsia or AirAsia balik kampung”, remember this, you weren’t flying before AirAsia and probably couldn’t. Take it easy folks. It’s flying and if you want it at an affordable cost, some convenience has gotta give. We need Tony more than we need this corrupted government. Most of the conveniences shouldn’t be sacrificed at the expense of lower security and poor safety to passengers. Hope you understand. Bridge only cost rm0.25 per head. Do you think its expensive? Even the airport in that famine-stricken Ethiopia got modern terminals with aerobridges. Moreover, back there they don’t provide a separate reban ayam-like “low-cost” terminals. All are standard. Simply put, those who are in defence of LCCT are surely of below-Third World mentality – that’s thousands of metres below. Enough said. Discussed on facts must show reference otherwise it is just heresay. This is not a thesis. Thank you. Dear author, based on your previous write-ups, It is very obvious on who are you siding to start it all up. You article is well written. Good effort on doing the homework and spending time to show a whole new perspective to the public. Looks very convincing, but looking back at in in technical terms, I find your article not having the gist of it. I couldnt pin point any real substantiated hard facts. Yes you do have some facts, but its all on a publics perspective. If yes the government is helping AA, then why isnt that magic happening to MAS (where billions of tax payers money are being pumped into. YES including yours!). Ponder upon it. I find the write up of Vincent (few comments above) has more context as it is based on experience. I do wonder what is your profession, and how expert are you on this topic. Is it based on other biased articles that this has been wrote upon, or a much better viewed ones. Dear reader, I don’t think Ikram’s, DCA’s and Ministry’s report are all ‘public perspective’ as u claimed. MAS is a different problem. Please scroll down beloq and read my previous article on restructuring MAS. Thank you. IKRAM, DCA and the Ministry? Haha. WOW. true much. So ur telling me u would put ur life in line based on them only? solely based on their report? We find a crack, reported in the papers and fb with pictures, but denied by ministry and DCA. and then ministry comes in with a statement of plausible minor patch works, and finally after a month another statement admitting to it. Remember all this IKRAM still approved the terminal. So which would u believe? ME? NONE, cause where the heck is the credibility of the said individual of the said organisation when u try to snake around the real truth. Would you want to be in an Aircraft that lands on a crack runway? If there are cracks before the terminal is being used by travellers, imagine whats going to happen when there are almost 2-3 million passengers using the airport. PS: Publics perspective meaning it looks very well structured, but where is the technicality of the article. U are solely depending ur article based on a report done by another dude who also reports it to favour himself and his organisation(and maybe his cronies). Dude, ur article? Ur one siding articles? come on man, maybe u try reading on The Sun, 16th April, New Chapter Opens in KLIA2 Saga. Cheers mate! Kalau nak bina kembar KLIA baik AA serah diri kat KLIA je. Lagipon KLIA senyap sunyi mcm istana. Subang airport kecik sgt. Susah sgt ke nk tiru low cost airport mcm negara2 lain? Hi Matt Rodi…I’m a first timer reading your article and this is my first article as well – it just happen to be on this topic 🙂 …personal I don’t really fly AA…as Garuda provide good deal going back home to KL for the price of AA close to AA – neither I am TF’s friend to support him on your article. The government pay him to write this. I must confess. It’s thru MARA. Hundreds of Tousands bucks i think, and a UK round trip. That’s why he is just being thankful. Spare him pls. This article is full of self serving bias. I disapprove. Well written article. I truly agree with your arguments. We need more comfort and safety in LCC than what the current LCCT (pasar borong standard terminal) has to offer.